Sometimes people will assume that because you ride motorcycles you need a mean-looking helmet. While we recommend wearing all the gear, all the time, some riders still wish to wear tiny little half-helmets. That's your right, as long as the helmet is DOT approved. 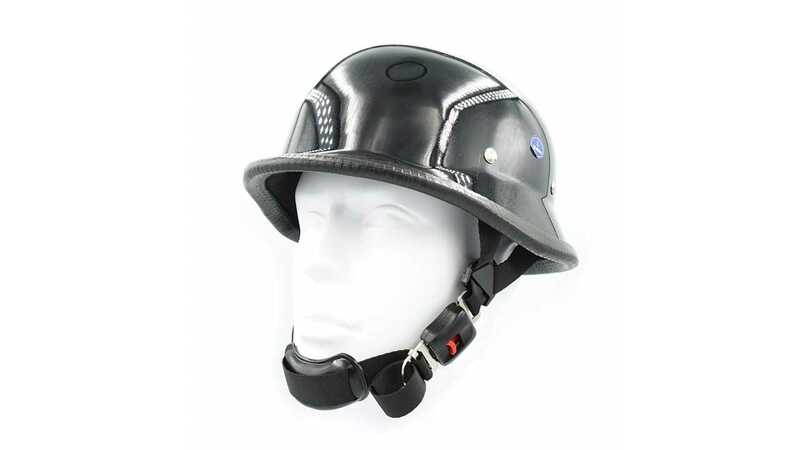 Many so-called novelty helmets, such as this one, are not approved by the U.S. Department of Transportation. This means that not only can you get ticketed for not having a real helmet, they're also about as effective as a baseball cap in protecting your brain from a solid whack. Assuming your friends aren't actually trying to kill you, tell them to look for that little DOT sticker on the back of the helmet before they buy it. These also fall into the category of safety, but not really safe. Gloves are, of course, supposed to protect your hands in the event of a spill. What is the point of protecting part of your hand, but not all of it? Yes, some gloves won't let you operate a touchscreen while you're wearing them, but there are other gloves designed specifically for that purpose. 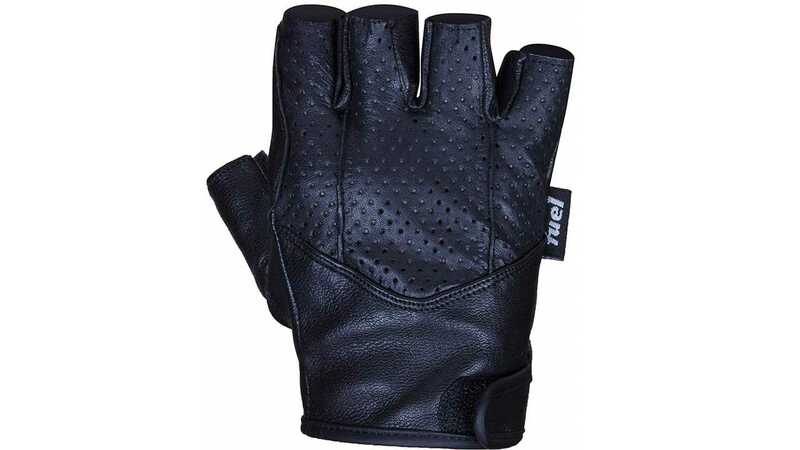 Fingerless gloves are often made of rather thin leather, which isn't so useful for protecting you from abrasion. They're great for looks, but not so practical on the bike. A lot of people assume that because you ride a motorcycle, you must ride a Harley-Davidson. 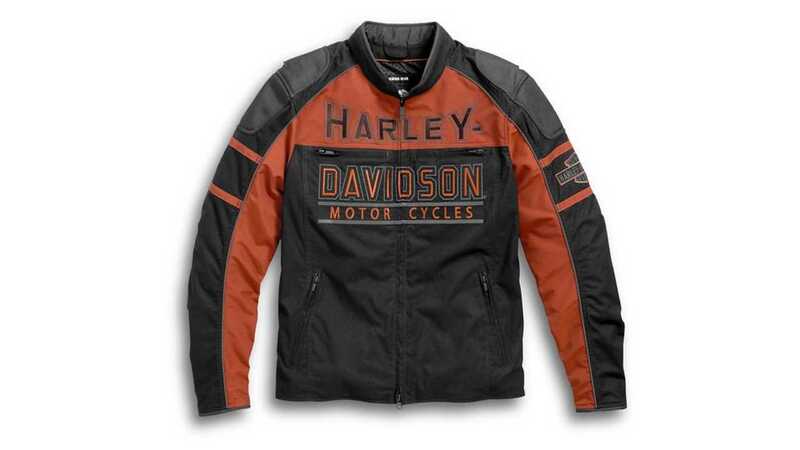 There's nothing wrong with Harleys or Harley gear (most of it, anyway), but if you ride a Ducati Monster, a Honda Goldwing, or a BMW F 800 GS, you're probably not going to want to wear a jacket that says Harley-Davidson all over it. Brand-specific gear is fine, at least until you change motorcycle brands, but there's nothing cool about wearing or displaying stuff for a brand you don't own. Even if you own a Harley, don't ever get Harley-Davidson straws. Just don't. 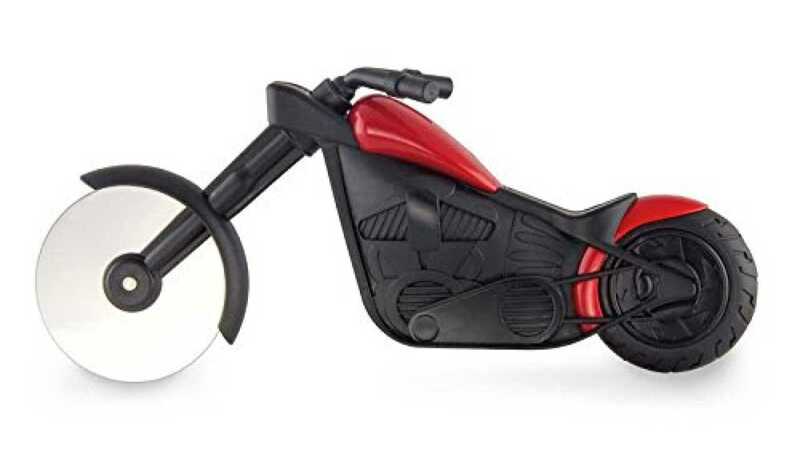 Here we have an example of an already useless item that's been given an arbitrary motorcycle theme. Sometimes I enjoy downing a cold one after a ride, but my caps go into the recycling, not up on the wall, and certainly not into a cheesy item like this. What do motorcycles have to do with this at all? Couldn't a simple rectangular piece of wood have worked? And what's with bottlecap collections, anyway? I thought only Bert from Sesame Street did that. Soap? Seriously? 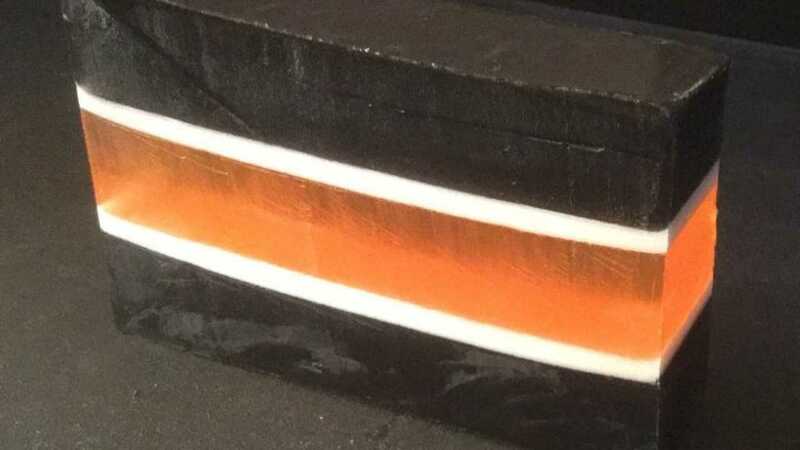 Yes, soap. It even comes in Harley-Davidson colors. This Etsy find promises a scent of cedar and leather, exactly what every manly man wants to smell like after a hot bubble bath. Please, this is as condescending to men as Bic for Her pens are to women. If you want to give us soap, give us the biggest bottle of Gojo hand cleaner you can find. That'll help us actually get our hands clean after wrenching on our bikes. Here's another example of a contrived motorcycle theme applied to something that has absolutely nothing to do with motorcycles. Eating at a particular pizza joint may be the perfect excuse to go 200 miles out of your way, but even then you're not going to bring your own pizza cutter with you. Even in your own kitchen, novelty items like these are often not very durable. Look at those forks. I could see them breaking while you make vroom-vroom noises and pull a wicked endo as you slice your pizza. Ugly sweaters are a trend that needs to die. 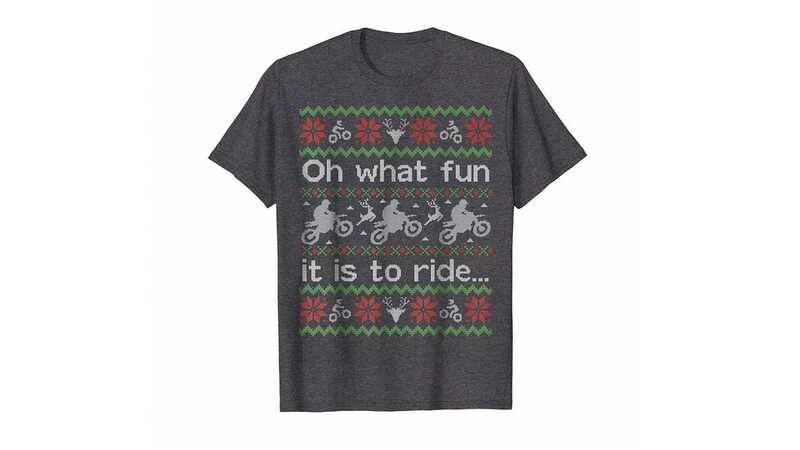 Even putting a motorcycle on an ugly sweater doesn't save it from being... well, ugly. This isn't even a real sweater, but an ugly t-shirt, something you won't want to wear when it's cold outside. If you wear it while it's warm, you'll be out of season and everyone will look at you funny. Not only is it ugly, but it's also impractical. Believe it or not, not everyone celebrates Christmas. Not everyone puts up a tree and slides presents underneath. What are they supposed to do with a Christmas tree ornament? If you do get into the Christmas spirit, great, but an ornament is only going to be on display for a very short part of the year, assuming the cat doesn't knock it off the tree and destroy it. 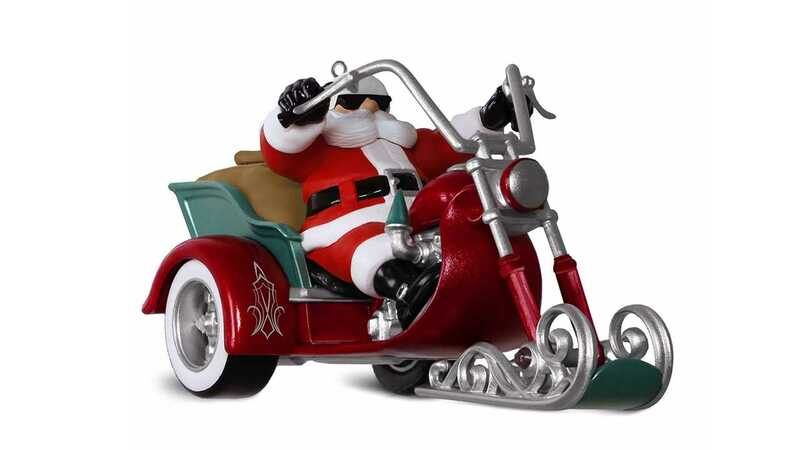 Why not give motorcycle art that can be on display and enjoyed year round? We didn't mean this kind of motorcycle art. With women making up an ever-increasing proportion of all riders, let's not alienate them with displays like this. I appreciate the female form as much as any man who's not gay, but using women to overtly sexualize motorcycles is tacky and not cool. Um... I can't even. I literally can't even. 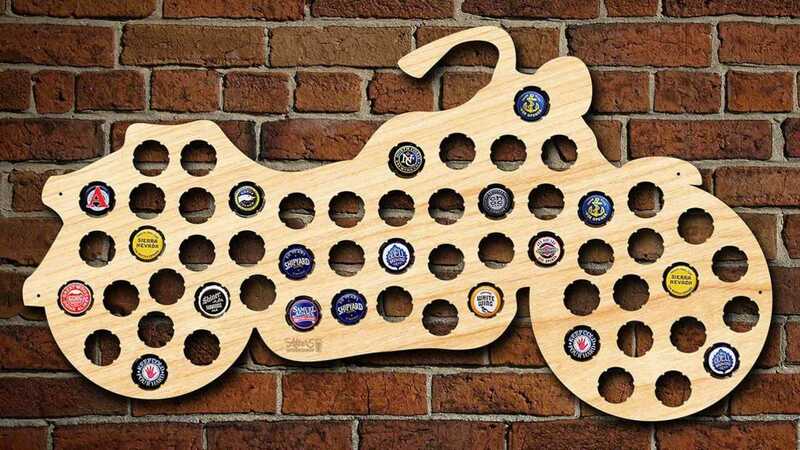 This wine holder embodies everything that is wrong with cheesy biker gifts. It's useless. 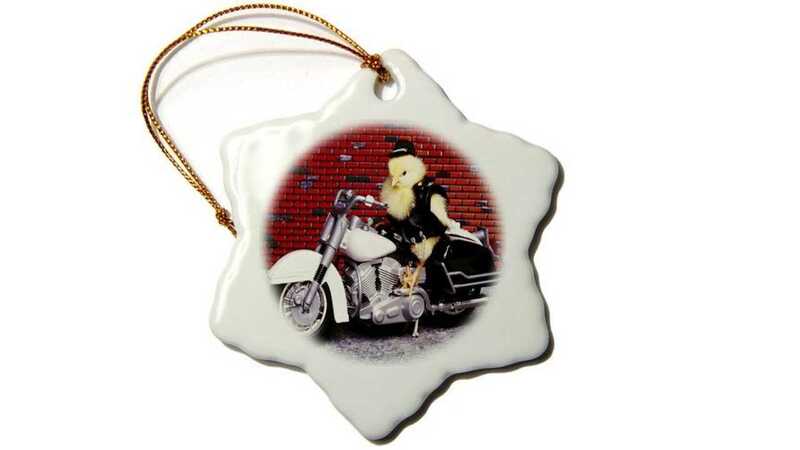 It has an arbitrary motorcycle theme unrelated to its purpose. It promotes inadequate riding gear. It's ugly. It's fragile. And it's demeaning to women. This ranks right up there with A Christmas Story's leg lamp as one of the tackiest gifts you can give, even if it is a major award. Ah, the holidays. It's a time of cheer, gift giving, and avoiding talking politics with your family over dinner. We've already given you some great ideas for what to give your favorite biker in our 2018 gift guide. Inevitably, though, even though they mean well, people will sometimes end up giving you motorcycle related items that just don't work for you. We've collected our ten favorites here so that you can share with your friends and family some great examples of what not to give you.